ClearCorrect | Smile Angels of Beverly Hills - Bruce Vafa DDS. ClearCorrect is an alternative to metal braces that can straighten your smile beautifully without wires, brackets or metal bands. Our expert in ClearCorrect in Beverly Hills, in heart of Los Angeles, can help you decide if you are a candidate for ClearCorrect and get you started on your journey towards a straight, healthy smile. Our Beverly Hills ClearCorrect expert will evaluate your smile in order to determine your candidacy for the procedure. If your teeth are crooked, crowded or gapped or if your bite is not properly aligned, ClearCorrect may be right for you. We will take dental impressions, dental X-rays and other records and send those to the dental laboratory, which will use them to create 3D models of your teeth. These models will represent the current position of your teeth, and another 3D model will be made to represent your smile at the conclusion of your treatment so that final adjustments can be made as needed. 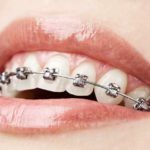 After your treatment plan is ready, our expert in ClearCorrect in Beverly Hills, in heart of Los Angeles, will provide you with your first set of aligners. 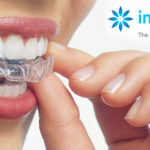 These aligners are considered passive aligners. They fit your teeth exactly as they are so that you can get used to wearing and maintaining your aligners. Each subsequent phase of your treatment plan will gradually move your teeth into position. For the best results, you will need to wear your aligners all the time unless you are eating, drinking or brushing and flossing. They are smooth and comfortable, and most patients adjust to them quickly. They are also clear, so you can enjoy treatment without feeling self-conscious or embarrassed about your smile. As you continue through your treatment, you will notice your teeth becoming straighter. Following the instructions of our Beverly Hills ClearCorrect expert is critical to your results. Good dental hygiene is essential throughout the treatment process. This protects your teeth from decay or gum disease, which can have long-lasting ramifications. Wearing the aligners for the required length of time every day will ensure that your teeth move as expected. Contact our cosmetic dentist Beverly Hills today to learn more about ClearCorrect or to schedule your consultation.